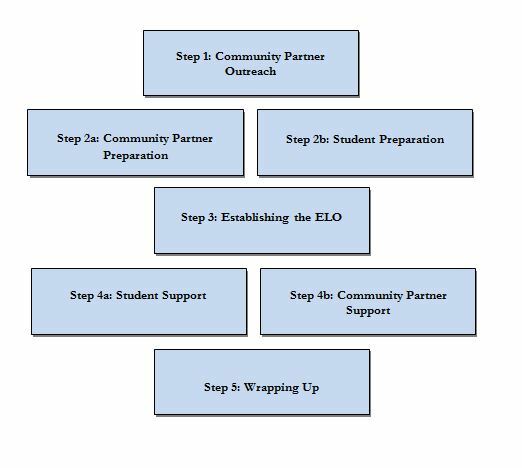 The specific role of an ELO community partner is determined at the outset with the student, teacher, and ELO coordinator. Community partner relationships are often developed and nurtured by one person at the school who represents the official face of ELOs to the business and nonprofit community. That person can help identify partnerships, gather feedback for and from the community partners, and help address any challenges that may arise. The Community Partner Template provides a path through the process of developing a relationship with a community partner and doing an ELO together. These are guidelines for a process and should not substitute for a handbook of policies and procedures related to your school’s ELO program. Whenever a student goes into a workplace for an ELO, the site will need prior NH Department of Labor (DOL) approval. Federal and state child labor laws regulate what work-based activities minors can participate in. Some occupations are restricted according to age. Create a process for identifying and approving ELO sites so that it’s clear which adult is responsible for which portions of the DOL approval process. The Forms section of the NH DOL website has the necessary forms. The Next Steps NH website has a user-friendly guide, Create Approved Work-Based Learning Experiences, to help you through the process.